The “coach you should do” column focuses on the game of EA7 Milano over Laboral Kutxa and the tactic board of coach Ibon Navarro. Laboral Kutxa is fighting with Anadolu Efes for the last play offs spot of Group F and the game in Italy can prove to be the key for Spaniards. So what are the key points for the super successful until now as a head coach Ibon Navarro in order to get away with a win? Here are the three main tactic goals according to Eurohoops. Milano loves to play one on one basketball and has many isolation plays, as the team tried to score using the talent of its players and so much a team effort. That’s why captain Alessandro Gentile and Marshon Brooks who has “transformed” for the better in Top16, are the two most dangerous players of the hosts. This is evident from the numbers. Gentile scored a double digits number in 7 straight games and Brooks in 6 straight games. Both of them combined are scoring 33.4 from the 75.1 points which Milano averages in total. They are almost half of Milano’s offense. 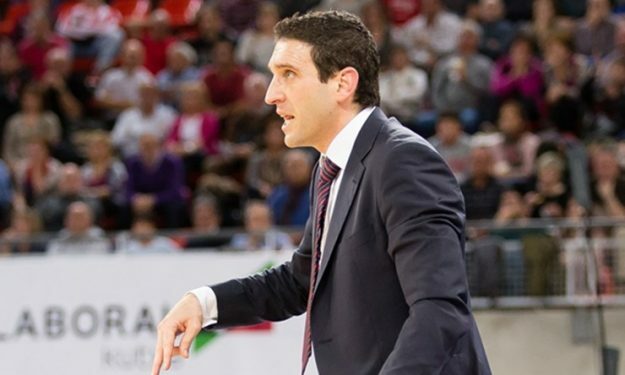 If Ibon Navarro and his players can contain them, everything for Laboral Kutxa will be easier. The second defensive goal of the Spaniards will be to stop the pick and roll duo of Daniel Hackett and Samardo Samuels. Τhe American center with 12.1 ppg is the only constant threat of the Italians in the post and also 40% of his point are a result of Hackett’s passes. The third key point is the impressive scoring distribution of Laboral Kutxa. It’s really rare to have a team in which 8 players score more than 7 points per average and no one more than 11.6! You have to take your hat for the Basques for doing so. They should continue to do so and also hope to have a good outside shooting day, specially from the two players who take the most attempts from the three points line. Those are Davis Bertans and Darius Adams. And that’s how Laboral Kutxa will get the win in Milan.